Scrubber advocates Clean Shipping Alliance (CSA) 2020 today announced the appointment of former IBIA CEO Ian Adams as its Executive Director. Maritime AMC (MAMCL), a UK-based association management company, has also been contracted to provide secretariat services. “We are delighted to have been appointed as the management and administrative services company for this important and influential membership body,” said Adams. Formed in October and now comprising over 30 members, CSA2020 says its goal is to advocate for the use of marine scrubbers from the perspective of experience, data, and science. 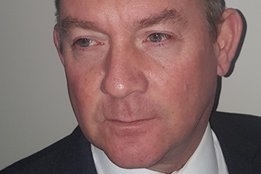 Adams, meanwhile, since leaving IBIA has remained vocal on key bunkering issues, including an examination of IMO2020 and IMO2050 issues published in Ship & Bunker last year.